For researchers like Angela Danyluk, the king tide is both a spectacle and a warning: the high waters will likely be the norm in decades to come, thanks to sea level rises. 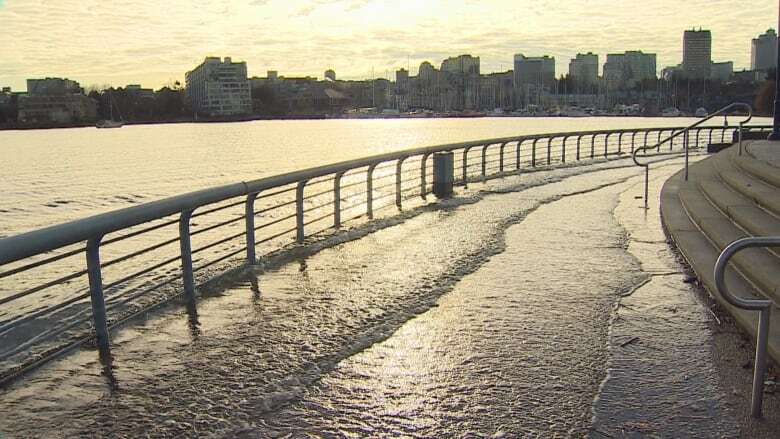 Parts of Vancouver's seawall were submerged Thursday morning after a king tide lifted water levels in False Creek to 50 centimetres above normal. Angela Danyluk, a city sustainability specialist, trudged through the water wearing gumboots. She suspects designs for parts of the seawall weren't made with king tides in mind. "It looks like this was probably designed for the high tide from maybe the '70s or the '80s," she told CBC while passersby snapped photos of the rare flooding. For researchers like Danyluk, the king tide is both a spectacle and a warning: The high waters will likely be the norm in decades to come, thanks to sea level rises. 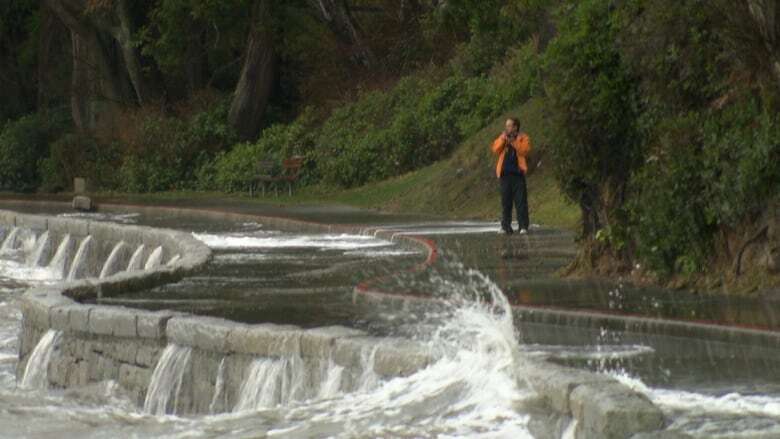 King tides are predictable sea level events that occur roughly twice a year. They happen when the tide reaches its highest point. In the winter, king tides can be particularly high thanks to positions of both the moon and the sun. 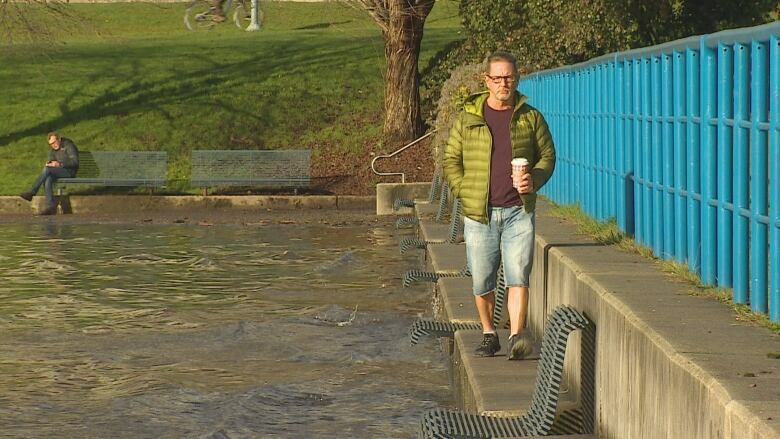 In Vancouver, damage from king tides tends to be minimal. They happen relatively infrequently, and much of the infrastructure around the seawall, for example, is coated in paint that prevents corrosion. However, Danyluk says that could change if the high water levels happen more frequently — which is what is forecast to happen in the coming decades. According to Danyluk, the waters will likely rise up to 50 cm by 2050 — and then by a full metre by 2100. "Today's king tide event will be the high tide of 2050," she said. King tides can be particularly damaging when they coincide with a storm surge, prompting tide level rises from 30 to 100 cm. While occurrences are rare, the two weather conditions coincided in 2012, in what was dubbed a "one in 50 year" event. "We saw erosion at the Stanley Park seawall and also at Kitsilano near the pool. It was in the tens of thousands of dollars that we saw in damage — and that's the kind of damage we could expect in the future at king tide and one metre of sea level rise." Sensitive ecosystems along coastal waters would also be hard hit, Danyluk says. The City of Vancouver is in the midst of redeveloping its climate change strategy, which will focus more on adaptation, as atmosphere and the landscape changes in the years ahead. Danyluk admits the city will look different. "Parts of our seawall might be a little higher. We might have a more interesting shoreline where we've restored part of the intertidal zone to allow for the beach to grow, and we might have different tree species growing in our streets," she said. The renewed strategy will be presented to city council on Dec. 5.